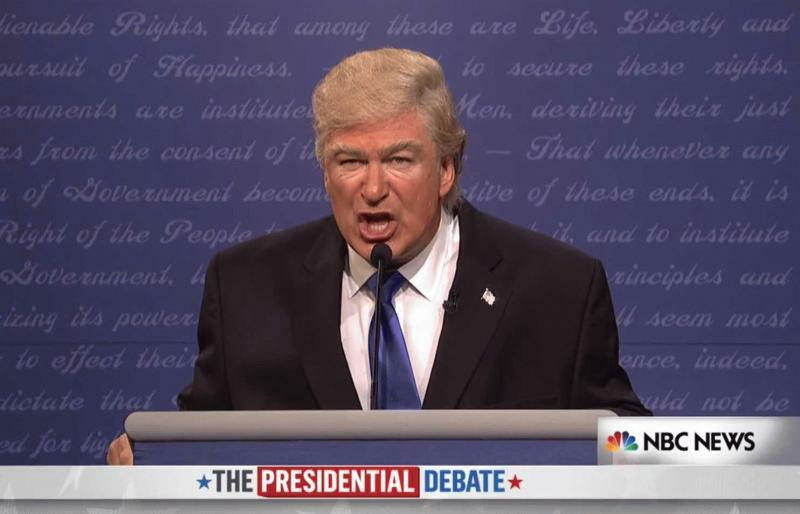 Los Angeles, CA, United States (4E) – Alec Baldwin’s impersonation of Donald Trump is viewed as one of the reasons why the GOP nominee gained votes. Michael Stipe was at the show of Baldwin entitled “Here’s The Thing” on WNYC on Tuesday and he talked about the role of the media in supporting the candidacy of Trump as well as the portrayal of the actor of the GOP nominee on “Saturday Night Live.” Stipe said that it is sad the Americans have allowed themselves to sink into such level of entertainment. Stipe is a supporter of former Democratic presidential candidate Bernie Sanders. Stipe said that he blames the media and “Saturday Night Live” then went on to ask Baldwin how it feels to play the character. Although the portrayal of Baldwin of Trump is made in bad faith, it still is publicity, said Stipe . Stipe went on to say that he is also not in favor of a Hillary Clinton presidency but the people have to vote against Trump now. Baldwin then replied that he first said he did not want to impersonate Trump on “SNL” because to be able to impersonate a person, one must have some appreciation. However, Baldwin revealed that he had no appreciation whatsoever of Trump. It was also reported that he also does not hate Trump. In an interview on “The Brian Lehrer Show,” the “30 Rock” star shared that he does not hate the GOP nominee but echoed his sentiment on his show that the real estate mogul is not someone he admires as well. He also shared that he almost sprained his jaw because he adjusted his voice and enunciated words when he threw his lines for the “SNL” skits.